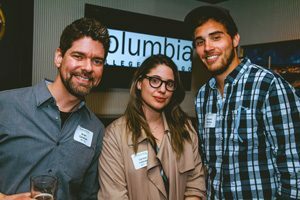 You have lots of options when choosing how to get involved with the Columbia alumni community. Just the other day, I was talking with an alum and he told me there were so many exciting, new opportunities that he wasn’t sure which one to pick! Here are some quick questions you can ask yourself to help narrow the field. 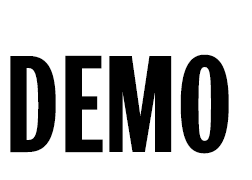 Are you looking to build your professional or social network? If so, you’ll definitely want to attend one of the many Chicagoland or regional events. 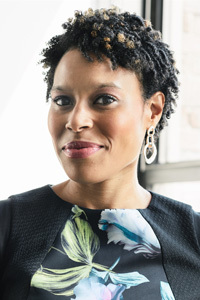 From the Manifest Alumni Party to CAAN Connect, there are always fun new ways to build relationships. 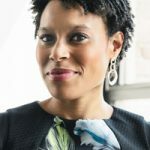 Do you want a hands-on way to give back? Volunteer your time with current students at an Alumni Roundtable or dish ice cream at the Alumni Scoop. You’ll enjoy connecting with students and they’ll appreciate your words of wisdom. Would you like to reunite with old friends? You can join a host committee for any upcoming alumni events and help recruit your former classmates to attend as well. No matter how you choose to get involved, you’ll definitely be glad you did! P.S. You can follow us on social media to find out about upcoming alumni events and activities in your area. See you soon! We are excited to announce the 2017 Columbia Alumni Association and Network National Board! More than 100 alumni submitted applications to be considered for the board, which made for an exceptionally talented and competitive field of candidates. National Board elections are held each summer. If you are interested in running for the board in the future, please be on the lookout for announcements in the Columbia Connection newsletter and on the alumni website in late spring. 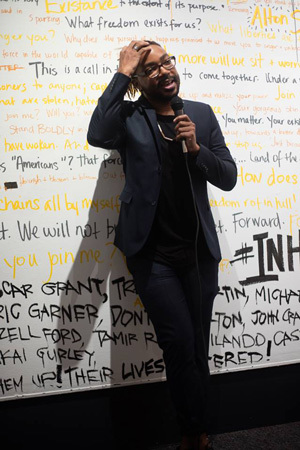 President and Founder of Crystal Pyramid Productions Inc.
2016 DEPS Alumni Artist in Residence Ervin A. Johnson ’12 speaks to the attendees at the opening reception of his #InHonor exhibition. 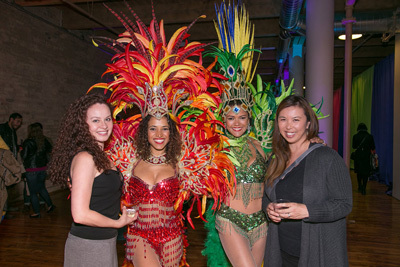 Leslie Ramos ’98 and a guest pose with Brazilian dancers at our Rio de Janeiro Carnival-themed Manifest Alumni Party. 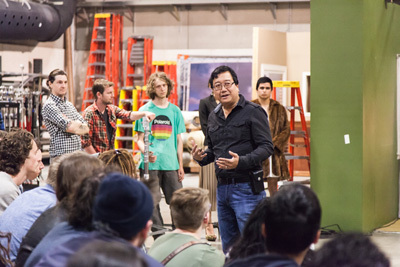 Hollywood cinematographer Michael Goi ’80 speaks to students at the Media Production Center. The Alumnae Entrepreneur Panel participants pose for a group photo. 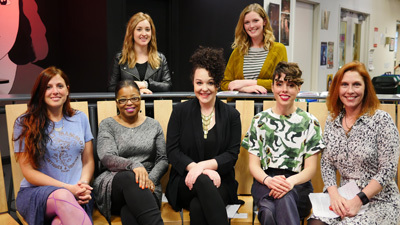 From left to right, clockwise: Miranda Gardley ’16, Audrey Sutherland ’17, Suzanne Blum Malley, Lauren McGrady ’11, Maggie Ness ’06, Edye Deloch-Hughes ’80 and Skye Rust ’06. 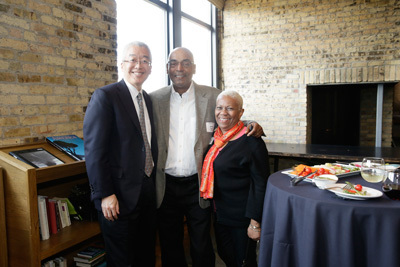 President Kwang-Wu Kim poses for a photo with James Elder ’83 and his wife at the Milwaukee Alumni Reception.